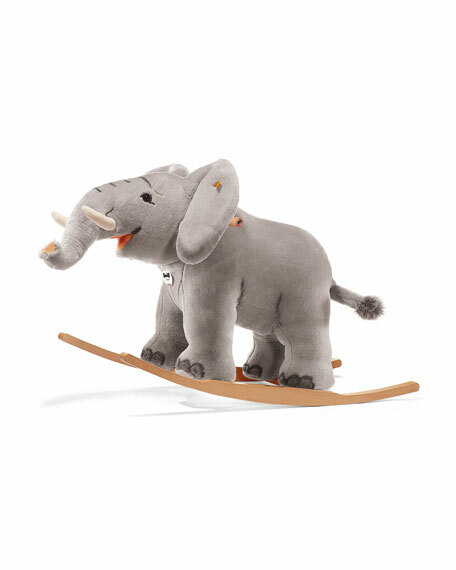 Steiff Trampili Riding Elephant, 28"
Woven plush fabric and hand-painted airbrush detail keep exclusive Steiff rocking animals heads and tails above the rest. Signature golden Steiff oval plaque at upper chest. Able to withstand up to 330 lbs. For in-store inquiries, use sku #207930.